Enchanted Dwellings opens its doors to all kind and respectful persons who are looking to rent a clean and comfortable home during their stay in Bend. Hosts Alex and Steve are two easygoing guys who appreciate life’s adventures and the road less traveled. 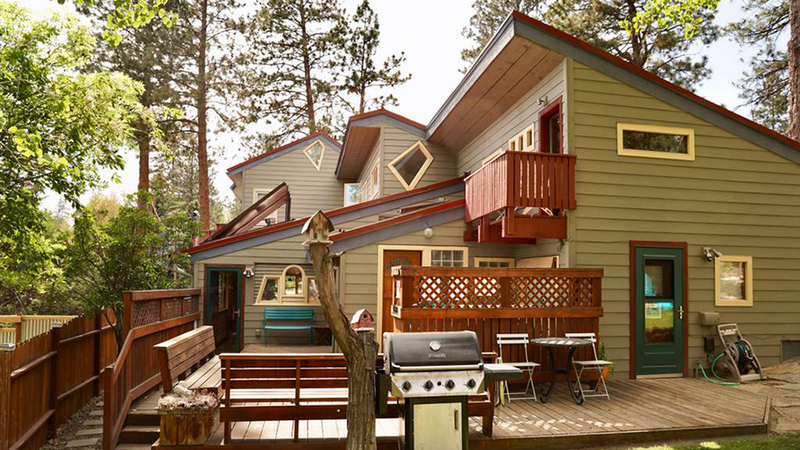 They have successfully managed vacation rental properties in Bend, Oregon, Czech Republic, and France since 2005, priding themselves on creating comfortable dwellings that make for memorable visits. Their unique rentals combine modern elements with woodsy charm and a touch of old-world Europe. These are playful, fun, one-of-a-kind spaces that most everyone will enjoy! With three rentals located on the west side of Bend, you can choose the home away from home that best suits your needs. All three are located on one property within easy walking distance to downtown and quick access to Mt. Bachelor. The property includes a shared hot tub and outside amenities like a secure storage shed for bikes and skis. Reviewers have given all three options five stars and say the hosts are accommodating and helpful and the properties are well-appointed with no detail left out. Prices range from $43 to $85 per night, and reservations are through Airbnb. Small to medium pets are allowed upon prior approval.